Joder, el piloto debía ir hasta las trancas de vodka para confundir una calle de rodadura con la pista Menos mal que no había otro aparato por ahí. Será dificil recuperarlas por la profundidad, y aún así no se si se podrá extraer algún dato tras el tiempo transcurrido y los desperfectos por la presión, pero algo es algo. La verdad es que no sé si algún día se sabrá lo que realmente pasó con ese A330 de AF por mucho que puedan localizar las cajas negras. Sea lo que fuese, la culpa no es únicamente achacable a "los elementos". Accidente de un A330-200 en Tripoli de uno de los A330 más nuevos que había, tenía a penas unos meses. An Afriqiyah Airways Airbus A330-200, flight 8U-771 from Johannesburg (South Africa) to Tripoli (Lybia) with 93 passengers and 11 crew, has crashed upon landing in Tripoli (Lybia) short of runway 09 at approximately 06:10L (04:10Z). The airplane was completely destroyed, no post impact fires occured. The airport reported 105 fatalities (94 passengers and 11 crew). Media reports in Lybia suggest, a boy may have survived the crash. The airplane had departed Johannesburg at 21:37L (19:37Z) and was due to arrive at 06:20L (04:20Z). Afriqiyah Airways confirmed their flight 8U-771 carrying 93 passengers and 11 crew has crashed upon arrival in Tripoli. 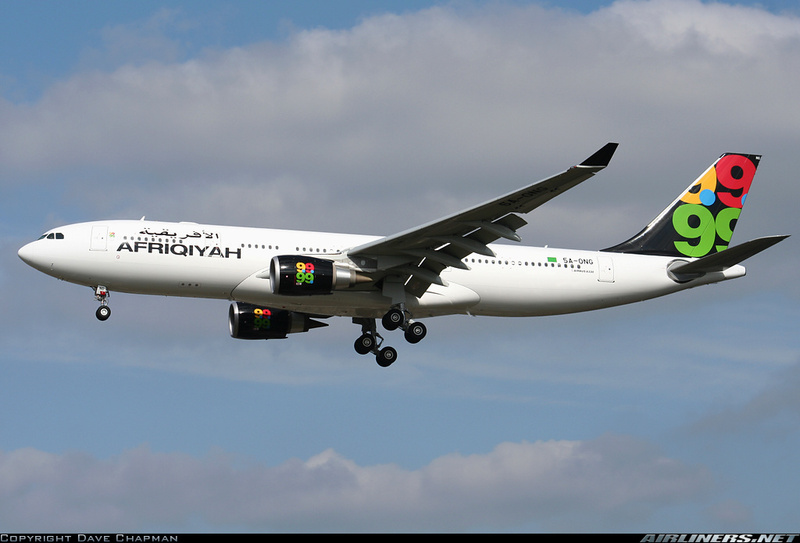 Airbus regrets to inform that an A330-200 aircraft operated by Afriqiyah Airways was involved in an accident during flight 8U771 from Johannesburg, South Africa, to Tripoli, Libya, on 12 May 2010 at 04.00 UTC. Preliminary report indicates that the aircraft crashed short of the runway threshold during approach to runway 09 at Tripoli. Further details are not available at this time. According to available information, there were 93 passengers and 11 crew members on board. Reports of survivors are not confirmed yet. In line with ICAO Annex 13, Airbus is dispatching a go-team of Technical Advisors to Libya today, to support the investigation authorities and the BEA as Accredited Representatives. The concerns and sympathy of Airbus go to the families, friends and loved ones affected by the accident. Further update will be provided as soon as reliable information is available and Airbus is authorised to release them. Accidente de un Lufthansa Cargo.